This is my next book. It is currently being copy edited, (so there will be the occasional typo in this version). The characters use math and describe their math thinking as they work through problems. I am a former 1st, 3rd, and 5th grade teacher, so I used my experience and background from those years as I wrote this. The book is also available for preorder on Kindle. Charlotte Morgan is a third grader who likes numbers, and she is in a club called The Number Investigators. My name is Charlotte, and I have a great big problem. You see in two weeks, or 14 days, or 336 hours or 20,160 minutes, or 1,209,600 seconds is our big Turing Elementary School Math Bee. A math bee is like a spelling bee only with math problems. Why is this a problem you ask? This is a problem because I don’t like getting up in front of the class. And if I do good in front of the class, then I have to go in front of the whole big school. And most of the time I get the best math grade in my class. There are twenty-two other students in my class, which means there will forty-four eyes looking at me. I forgot, forty-six eyes, Mrs. King, my teacher, will be looking at me too! And also, did I mention my dad is a math teacher? That’s a lot of pressure. He will be very disappointed in me if I don’t do well. Parent’s Notes went home last week about the math bee, and my dad got really excited. He teaches algebra and calculations at Middlebury High School, at least, I think it is called calculations. Anyway, dad, or Mr. Morgan, as his students call him, has started quizzing me constantly throughout the day. He’ll say, “Okay, Tambourine, what is 4 times 3.” And I reply “12.” It is getting annoying. He calls me Tambourine because when I was little, like two or three, I would walk around the house shaking and banging a tambourine. I don’t do that anymore, but the name stuck. My mom calls me Charlotte, and Charlotte Morgan when I am in trouble. I go to Turning Elementary School, and I am in the third grade As I already said Mrs. King is my teacher. She tells me I talk a lot. But if it wasn’t for me she wouldn’t remember that she left her pencil behind her ear. That poor pencil would just stay there all day—poor pencil. Today is Friday, and school is about to start. That means there are 14 days until the Turing Elementary School Math Bee. That’s 336 hours. 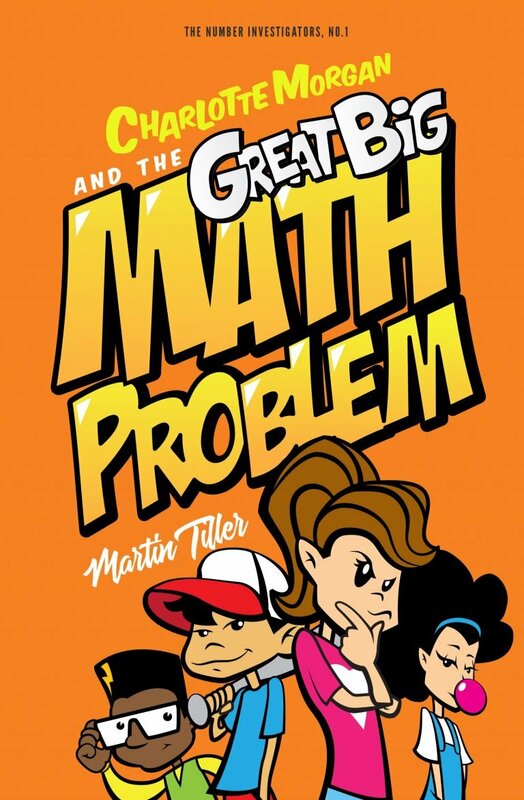 This entry was posted in Announcements, Fiction, Indie Writing, Writing and tagged Charlotte Morgan and the Great Big Math Problem, The Number Investigators on February 7, 2018 by mctiller. This is the first chapter from my next book, in pre-proofed form. It’s still in the final editing phase. You can preorder the book on Amazon now. I hope you check it out. Bam! The sound of the ball hitting leather echoed through out the field. Jake adjusted the bandage on his nose before he threw the baseball to Mark. His nose still hurt, from fighting Brad Cushing. Jake threw the ball. It zipped through the air. The loud sound of the ball smacking Mark’s hands came from eighty feet away. “Did that hurt?” Jake asked. “Nope.” Mark replied, gritting his teeth. The warm weather on the first day of May, brought the student body of Dolbin School for the Extraordinary out. Jake Cooper and his friends Mark Daniels, Bruce Johnson, Red, Cal Jacobs, and Henry Cho tossed baseballs between them. There was no game planned. It was just a lazy Sunday afternoon. “Throw to someone else, I going to get out the PGX,” said Mark. He put his glove down and walked over to his backpack. He pulled out a drone. It was white and shiny. He pulled out a tablet and tapped in instructions. The PGX hovered four feet above the ground. “You’re not going to take our pictures with that? Right.” Bruce asked. “I would think the coaches in middle school would already have that idea, and that they would already be doing that,” Mark pointed out. “I thought you guys would be here,” said a female voice. The boys turned and saw Maggie Crenshaw running to the field. She was carrying a backpack. She stopped and put down the bag. “Brad isn’t here, if you’re looking for him,” said Jake. Maggie ignored Jake’s comment and motioned to the drone floating above the field. “I have a PGX as well.” She pulled it out of her bag. Maggie smiled. Her tilted to the side and took off toward the outfield at blazing speed. Mark’s drone was pushed backwards from the force of the air from her drone. “They don’t. I added them myself,” Maggie grinned from ear to ear. “Sure.” Maggie stopped her drone, it floated waiting for the next instructions. It was a 100 feet away and floating 20 feet in the air. Mark took the tablet. He saw himself standing next to Maggie on the tablet, from the drone’s cameras. Mark swiped on the tablet. He could see the campus as he viewed the different cameras. “The accelerant app is right there,” said Maggie reaching over Mark’s shoulder and pointing to a red icon. Mark tapped instructions for the drone to head back to him. He pressed the accelerant icon. It zipped right back, and stopped, floating twenty feet above his and Maggie’s head. Mark handed the tablet back to Maggie. She brought the drone down to the ground and turned it off. She set it next to her bag. She pulled a baseball glove out of her bag. She smiled and pounded her glove. Mark picked up his glove and a ball and threw it to Maggie. “Not even Brad?” Jake replied. Maggie stopped looked at Jake, she threw the ball at Mark. Jake smiled, “Sorry.” He turned to throw at Cal. He adjusted the bandage on his nose and threw the ball at Cal. This entry was posted in Announcements, Fiction, Indie Writing and tagged Dolbin School for the Extraordinary, free chapter on September 12, 2017 by mctiller. My latest book is available in paperback. It is enrolled in the Kindle Matchbook program, you can get the Kindle version for free when you buy the paperback. This entry was posted in Announcements, Fiction, Indie Writing on March 27, 2017 by mctiller. On an almost personal dare I wrote this story while also working on Dolbin School 4. I wrote this without an outline and put up the story as I finish each part on Steemit. “My grandfather thinks he is seeing a ghost at the lighthouse, and I think he wants to show it to me,” said Irving to Alec as they both were getting their fishing rods ready. The grey of dusk had covered the sky. The breeze was still warm. “I guess. But if he sees something at the lighthouse, I guess something is actually happening,” Irving said. “Yeah, it looks like it grandpa,” Irving leaned back and cast his line out in the surf. He held onto his line. “Nice cast,” he patted Irving on the back and walked back to his line, where Irving’s dad and Carrie had set-up their lines. “Okay.” Suddenly Alec’s rod took leaned forward and the line took off like a sprinter. “Whoa! I got something!” screamed Alec. He jumped up to grab the rod, but he tripped over the bucket. He fell face first onto the ground. But he held onto the rod. The bucket fell forward and the rod came out of the bucket. The Alec held onto the rod with both hands. Irving laughed at the top of his lungs. Then the fish on the end of the rod pulled the rod and Alec across the sand towards the ocean. For some reason Alec held onto the rod. Irving’s eye lit up. He quickly put his rod into the bucker and chased after Alec. Irving landed on his friend. Irving’s grandfather seeing the scene ran over and grabbed the rod from Alec. He quickly pulled back on the line, but it snapped. Irving and Alec laid on the edge of the water. “Well, that was embarrassing,” Alec said. Irving rolled off Alec, sand covered his hair. He stood and brushed the wet sand off of his clothes. Mr. Williams helped Alec get up. He smiled. “I’m also glad that it didn’t eat us earlier today when we were on our boards,” Alec replied. “Yeah, we’re fine,” Irving replied. This entry was posted in Fiction, Indie Writing and tagged Irving Williams and the Lighthouse Ghost on October 8, 2016 by mctiller. I am working on a new book, while also writing this story. I am writing this story without an outline and putting up the story as I finish each part. I am enjoying getting to know these characters and setting. Click here for part 3. “I see that you have found Alec,” said Irving’s grandfather. Who was reading a tattered spy novel paperback, his head covered by his sun hat, round sunglasses covered his face. Irving and Alec walked back to Iriving’s family’s settlement. They were exhausted from riding waves. Their cheeks were pink from the sun, and knees skinned from wiping out on their boogie boards. Irving’s grandfather was manning the settlement of towels. Carrie was a sleep on her towel. Her hair wet after taking a quick dip in the water. The rest of the family was in the water playing with Lucas. “Hi, Alec. Where is your family?” Irving’s grandfather replied. “Down there, the blue tent.” He pointed. “My mother sunburns easily, so we bring the tent.” He pointed to a blue tent hundred feet away. “Yes, sir that is correct.” Grant Williams sat up in his chair, pushed his hat back and lowered his sunglasses down his nose. He waved Alec in closer with his tattered paperback, “Come, here.” Alec took a step closer. “I have something to show you and Irving this week at the lighthouse,” a gleam was noticeable in his eye. The lines in his cheek grew deep from his smiling. Mr. Williams guffawed, but then leaned in closer and lowered his voice to a whisper, “I can’t tell you that right now. There are too many prying ears around.” He made a circular motion with his paperback. “Come and see us in an hour or so when the sun gets lower. We’ll be getting ready to fish.” Alec waved, “Yes, sir.” He jogged off to his parent’s tent. Irving put his board down and sat down next to his grandfather. He reached into the cooler next his grandfather, and pulled out a bottle of water, and a turkey sandwich. He started eating. “So what exactly is it you’ve seen at the lighthouse?” Irving asked. This entry was posted in Fiction, Indie Writing and tagged fiction, Irving Williams and the Lighthouse Ghost on October 4, 2016 by mctiller. I am experimenting and putting up this story as I write it. The sun was bright. The air was warm. The sand was hot. The sound of the waves was rhythmic. Irving and his family wondered onto the beach, carrying towels, chairs, umbrellas and fishing gear. After several minutes of searching, they settled on an area near the walkway to the main street. As soon as Lucas took his shirt off he ran toward the water. “Yeah, it’s very difficult to wrangle him when he sees the water,” replied Mrs. Williams. Irving took off his hat, shirt, and flip-flops and grabbed his boogie board, ready to sprint to the waves. “You on the other hand mister are able to wait.” His mother handed him a blue bottle of sport suntan lotion. Irving hung his head, took the bottle, and lathered himself in white lotion. Carrie covered herself in her own special sunscreen. She placed her sunglasses on her face and she laid down on her towel. “Hoping to see Aaaadam!” Irving teased. Irving bolted to the water. He gasped at the coolness of the water, but he kept going. He jumped and put the board out in front and landed on the board. His body rose high into air as the first wave lifted him and brought him back down. We wiped his hair out of his eyes. He turned his board and began swimming back to shore. He looked over his shoulder for the next wave. It lifted his feet and legs up, and pushed his body forward. His arms worked fast to keep his board on top of the wave. He felt his legs going higher into the air. His right shoulder went under first. His body tumbled like in was in a washing machine. The water pushed him forward. He came up on the shore on his stomach. He wiped his eyes. When his vision cleared, two legs stood in front of him. “You wiped out on the first wave of the summer?” said a voice from above Irving. “We got here this morning.” Alec replied. Alec looked over his shoulder for his brother Adam. “My sister will be in an even worse mood if she sees him talking to other girls,” Irving replied. He lifted his boogie board and looked at Irving, “Now, let me show you how this is done.” The boys raced back into the ocean to catch the next wave. This entry was posted in Fiction, Indie Writing and tagged Irving Williams and the Lighthouse Ghost, writing on September 18, 2016 by mctiller. I’m experimenting and putting up a new story, and I am trying to do it everyday. I haven’t outlined anything. I am enjoying getting to know these characters. Click here for Part 1 and part 2. “I wish you would stay still and stop wiggling!” declared Mrs. Williams. Lucas stopped fidgeting and let his mother cover his face in 50 SPF water-proof sunscreen. Upstairs, while the wrestling match over sunscreen was happening, Irving put on his Atlanta Braves ball cap, his Darth Vader t-shirt, his Virginia Tech sandals and his Hawaii print swim trunks. His sunglasses finished the ensemble. He walked down the stairs and met the rest of the family by the front door, where they were gathering their things for their first trip to the beach. “You look dorky,” stated his sister Carrie. “Well, luckily I’m not trying to impress you. I know I’m not Adam!” Irving held the A in the name, held his arms up to his chest, batted his eyes, and pretended to swoon. Carrie rolled her eyes. “Maybe he’s here this week and you’ll see him at the beach.” Irving continued to mock his sister. “Shut up!” And she punched Irving in the shoulder. Hard. “Ow!! !” Their father intervened, “Can you two please stop fighting for one day? One day! ?” He held up his index finger, emphasizing the number 1. “You don’t live with it every day, mom.” Irving’s father replied. “Someday you’ll miss it, son,” she replied in a peaceful manner. “Who’s ready for some surf!” yelled Irving’s grandfather. He came around the corner from his bedroom. He walked around a large telescope that was placed on a tripod and face out a window towards the sea. He was dressed in a large floral print shirt, blue swim trucks, and large wicker sun hat on top of his head. “I am!” yelled Lucas, as he put his hand into the air. “So will I,” replied Carrie. “I will too!” shouted Lucas. “I swear! Just one day!” pleaded Irving’s dad from the driver’s seat. Irving’s grandfather guffawed. “Let’em argue George!” He laughed and laughed and patted his knee. The SUV pulled out of the driveway and onto the main road. Going past mounds of sand and tall grass. They passed the lighthouse on the right. His grandfather’s face was bright with excitement. This entry was posted in Fiction and tagged Irving Williams and the Lighthouse Ghost on September 8, 2016 by mctiller. I am experimenting a trying out a new story here. I posted it first on Steemit and now here. Irving’s grandparents lived in a large brick house near the beaches of the Outer Banks in North Carolina. His grandfather was a retired coast guard Captain. He settled in Currituck, North Carolina. He spent his time now leading tours at the Currituck Lighthouse. The house was filled from top to bottom with maritime objects, artifacts, and paintings. A large deep water diving suit greeted visitors as they walked in the front door. A four-foot model of the lighthouse stood on an end table, next to a book shelf filled with novels and reference materials about the ocean and maritime history. A large painting of a boat navigating rough seas hung over an antique sofa. The sofa that no one was allowed to eat on. “Take your stuff upstairs Irving,” instructed his dad. Irving walked up a large wooden staircase, he turned to the right, and his bag brushed against table making it wobble. A wooden pirate, complete with a green parrot on the shoulder, wobbled and began to fall. Irving dropped his bag and caught the pirate with both hands. He blew out of his breath and gently put the pirate back. “Wow. You would be dead little brother if you didn’t catch that!” Carrie walked past him. “Thanks for your help,” Irving replied. He picked his bag up and continued down the hall, past a painting about a shark attack, and an aerial photograph of the Outer Banks. He walked into his bedroom. His grandparents’ house was large enough that he didn’t have to share his room with anyone. Unlike at home, he shared his room with Lucas, which made visiting his grandparents a welcome change from the routine. “I want to go to the beach!” Lucas ran past Irving’s doorway. His mother was in pursuit. Irving put his bag on the bed and unzipped it. He pulled out his clothes and placed them in a chest of drawers that had mermaids and sharks on the handle of the drawers. He closed the drawers. He picked a photograph off the top of the chest of drawers. He was about three in the picture, his grandfather was holding a large fish at the end of a fishing line, and next him was a large yellow lab, named Luke. Luke was already old in the photograph. He passed away when Irving was six. “Irving get down here and help with lunch!” yelled his father. Irving put the photograph back its place and he bounded down the stairs. Lucas was sitting at the large mahogany table. His legs swung back and forth vigorously. Irving walked past the table and into the kitchen where his father was. “Put ice in all the glasses,” his father instructed. His grandmother had already lined up seven empty glasses. Lucas began filling them. He placed them one by one back onto the kitchen island. His grandfather walked into the kitchen. He placed something on the island. Irving put the final cup filled with ice down on the island. He noticed what his grandfather had placed. Ghosts of the Outer Banks, was the title. This entry was posted in Fiction, Indie Writing and tagged fiction, Irving Williams and the Lighthouse Ghost on September 7, 2016 by mctiller. 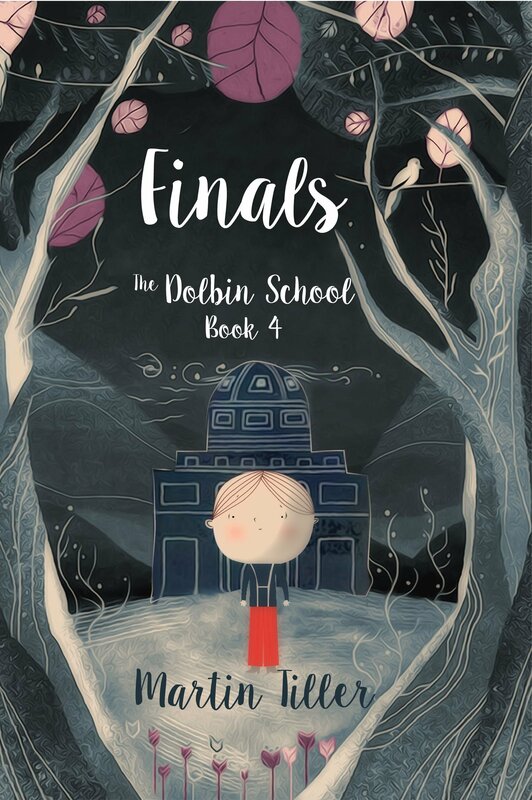 I am working on the fourth book in my Dolbin School series. I got the idea from my last post about the Orcacoke Lighthouse, when @thecryptofiend asked if the lighthouse had a ghost. Suddenly I had an idea and the start of a story. “Oh, Jeez, who pooted gas?” Irving Williams waved his hand in front of his nose. A loud giggle came from the seat in front of him. “Haha! I did!” Squealed Lucas, Irving’s little brother. “Mom, make them stop!” whined Carrie, Irving’s older sister. Who was sitting with Irving in the back seat of their three row SUV. “Boys, stop being gross,” Julie Williams, Irving’s mother, said from the passenger seat. “Boys, I need you to cut down on that sort of talk when we reach grandma and grandpa’s house,” George Williams, Irving’s dad, instructed from the driver’s seat. Irving Williams was eight-years-old, had sandy brown hair with freckles on his face and was soon to be in the third grade. Carrie, was ten-years-old, also had brown hair, hers was pulled back into a ponytail. And she was going to be a fifth grader. Lucas was four. And he laughed for at least three minutes every time he passed gas. Mr. Williams turned on the blinker and he turned the family’s grey SUV into a driveway. The two story brick house, had a dark green roof. Large potted plants stood on both sides of the front door. An elderly man and woman appeared from the front door, Irving’s grandparents, Grant and Lucille Williams “Well, who are these lovely people who landed here in my driveway?” said Grant Williams, the man smiled and walked quickly to the car. “Here, let me get you out of this car seat,” said Grant as he fumbled with the latches and eventually got Lucas out of the seat. “Hey mom,” George hugged his mom. “How was your trip?” Lucille Williams, Irving’s grandmother, asked. “Can we go to the beach today?” shouted Lucas. “We need to eat and get unpacked before head to the beach,” Mrs. Williams rolled her eyes as she shuffled Lucas off into the house. “There is my little, oh, excuse me, grown-up adventurer,” Irving’s grandfather shook his hand. His grip hurt Irving’s hand. He was still strong in his later years. He pulled Irving in close and whispered in his ear, “I have something to show you at the lighthouse. But you need to keep it a secret. Understand?” Irving looked at his grandfather’s face, the lines were deep, but there was excitement in his eyes. Irving held his grandfather’s gaze for what seemed to be hours. “Irving, let you grandfather go, and help with the luggage,” instructed his dad. Irving followed instructions, got the luggage and followed his family into his grandparents’ large house. This entry was posted in Fiction, Indie Writing and tagged fiction, Irving Williams and the Lighthouse Ghost on August 22, 2016 by mctiller.